The last decade is marked with acceleration of mergers, corporate restructuring and governance activities. M&A activity has been driven by factors such as technological change, globalization, free trade, deregulation, attempts to attain economies of scale, rise in entrepreneurship, and economic growth. Corporations need to adjust to the change in the environment and expand their markets to achieve growth and protection against volatile economic conditions. Firms can achieve international expansion through foreign direct investments (FDIs) which can take the form of cross-border acquisitions (brownfield investments) and Greenfield investments. 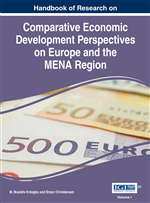 This chapter covers an overview of the literature on the determinants of FDI forms of entry, and M&A activity followed with an empirical investigation of the firm-level determinants of foreign investment in Turkey with emphasis on cross-border acquisitions and Greenfield investments. Summary of the findings is followed with the economic implications of forms of FDI entry. The concluding remarks cover the implications of the results for policy makers. The studies on determinants of mergers and acquisitions can be grouped as those that focus on country-level drivers of M&A activity and firm-level analyses. After an overview of the literature on the country-level drivers of M&A activity, the theoretical background covers evidence on firm-level determinants of M&A activity with an emphasis on cross-border mergers and Greenfield investments. Public Ownership: This term implies that a portion of a corporation’s stock is publicly traded. It can be used synonymously with stock market listing, which is being on the official list of stocks that can be bought or sold on a stock exchange. Cross-Border Mergers: A cross-border merger is a transaction in which the assets and operations of two firms belonging to or registered in two different countries are combined to establish a new legal entity. The control of assets or operations is transferred from a local to a foreign company, with the former becoming an affiliate of the latter. Greenfield Investment: A form of foreign direct investment where a parent company starts a new venture in a foreign country by constructing new operational facilities. In addition to building new facilities, most parent companies create long-term jobs in the host country by hiring new employees.